Nearly all potential customers with electricity consult online ratings and reviews before making a purchase. Bad reviews kill good marketing. Recently, I worked on a Webinar with our partners at Yext about the importance of reviews, and how to manage them, and get more. It was definitely one of the best (and most important) Webinars I did in 2016. Visit the Yext wrap-up post to watch the Webinar, for free. 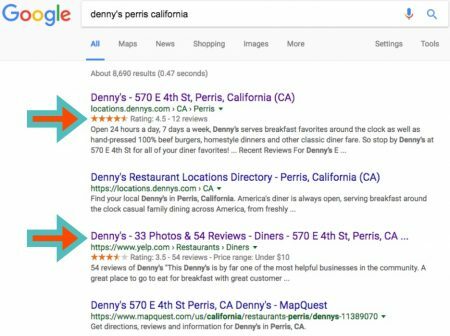 Consumers often use mobile search at the beginning of their purchase funnel, and Google serves up reviews right at the top of the results for local searches of this type. 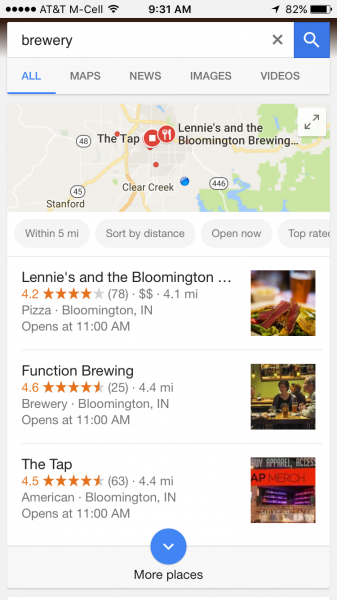 For example, this Google search for “brewery” prominently returns a map, plus ratings/reviews for breweries in my area. A specific search for “Upland Brewery” (my local favorite, owned by my friend Doug Dayhoff, who recently started an entrepreneurship blog) shows that of the ten first-page results returned by Google, six of them include ratings/reviews: Google, Facebook, Yelp, TripAdvisor, Zomato, and Beer Advocate. These are third-party reviews, residing on sites we don’t own or control. People believe in the veracity and accuracy of that content. In fact, 80% of Americans trust at least some ratings and reviews as much as they trust recommendations from friends and family members. Third-party reviews are important because they drive foot traffic. Even if you’re a terrific marketer, if a prospect sees a 3.1 average when they find you in search, you’re not likely to convert that person to a customer. But there’s a second type of review that is just as important: first-party reviews. These are the reviews that are on YOUR website. They’ve been common on e-commerce websites for years, but are now popping up on retail, restaurant, and professional services sites. You’re going to see more and more first-party reviews because they help convince customers late in the funnel, by ratifying their decision to make your enterprise the finalist for their purchase. 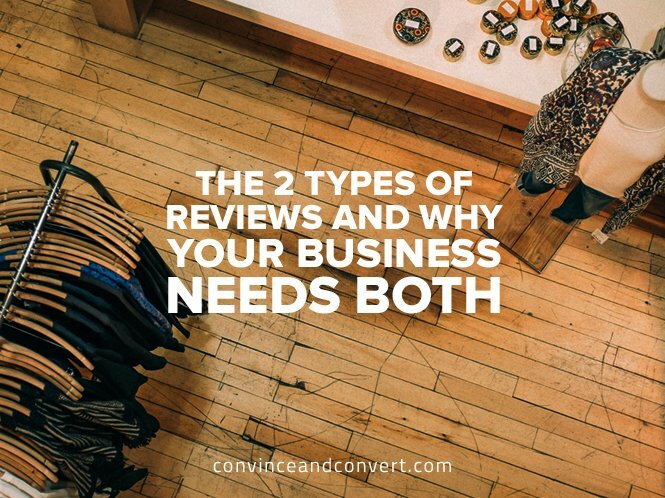 Both types of reviews are increasingly critical because they give consumers information shortcuts to making buying decisions in a crowded, noisy, competitive landscape. Give it a watch, I think you’ll like it. Editor’s note: This post is part of a paid sponsorship between Convince & Convert and Yext.